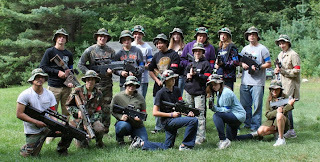 A few weeks ago to finish out our summer, we took a group of students up to New Hampshire to work at Monadnock Bible Conference for a day and then the day after went to check out an extreme laser tag place called The Strategy Zone. To be honest, it was one of the coolest places I've ever taken our kids (outside of missions opportunities). The Strategy Zone is not your normal, Chuck E. Cheese laser tag place where you spend 15 minutes in a dark, black light filled room with a bunch of plywood walls around you. That laser tag is fun and all but The Strategy Zone takes laser tag to a whole other level. 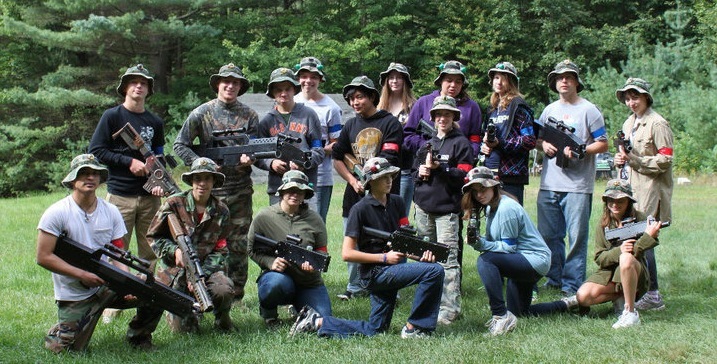 BUT, the whole reason our group was actually able to play was because another youth group from New Hampshire teamed up with us so that we could meet the minimum numbers required. So, instead of having 8 disappointed students, we had 17 of us who had a blast playing a fun game but also making some new friends and sharing life together. When we were finished and parted ways, I was struck with the huge importance that networking has to play within our ministries. Networking has always been an important focus of mine but it seems that I am still surprised when I witness the direct benefits of working together with our Christians. Beyond simply being able to play a fun game together, it was awesome to overhear conversations about faith, life, church and school between our students. It was a great time connecting with the other churches Youth Pastor talking about backgrounds and our experience in youth ministry. And, it was awesome walking away knowing we have a sister church up north now to share in other activities together such as skiing, camping or playing laser tag again. If you don't currently do much networking, I want to strongly encourage you to check out an organization called The National Network of Youth Ministries (www.nnym.com). Creating a profile is free and only takes a few minutes but they will provide some great ministry resources, discounts of conferences and trainings and helps you find a local network in your area (or equips you to start one!) NNYM is such a blessing in my life and I will never do ministry without having a local network for support. It was through NNYM that I found the church to connect with in New Hampshire. NNYM's slogan is, "We're Better Together," and that couldn't be closer to the truth that when it comes to doing ministry it's so important and beneficial to work with the rest of the Body of Christ!